The 12 Days of Savings has returned in 2018! 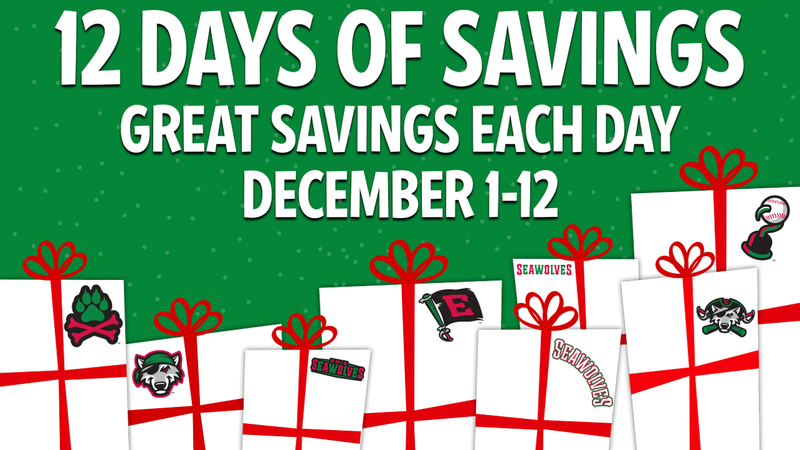 Each day during the first 12 days of December, the SeaWolves will offer great merchandise and ticket deals. Just like in the song, the '12 Days of Christmas' each deal will be available throughout the duration of the 12 Days of Savings. Savings are available online and at the SeaWolves Team Store at UPMC Park. December 5: Spend $40 or more and receive two (2) tickets to an April game of your choice.